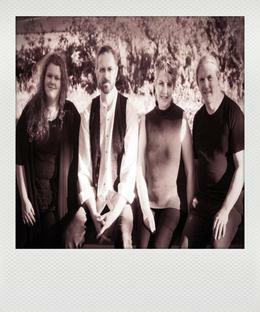 Fusing folk-law and legend with a good heady serve of pagan mystery, Spiral Dance plays an eclectic blend of traditional folk-rock with powerful self-penned songs and tunes. Rousing melodies intertwine with mythical tales that will spirit you into the realms of magic and the mists of ancient time – this is music that will rattle your ancestors! Damh the Bard is a Pagan musician, singer/songwriter, poet and storyteller from the UK. Damh describes his music as “mystic folk music”, and takes his inspiration from the ancient myths, legends and folk customs of the British Isles and Ireland. His songs have been described as a gift to the spirit. This is Damh’s fourth tour to Australia and his following is certainly growing! Massey Ferguson’s music ranges from quiet folk/country ballads reminiscent of Ryan Adams’ Jacksonville City Nights, to bar-house rockers in the spirit of Neil Young with Crazy Horse. 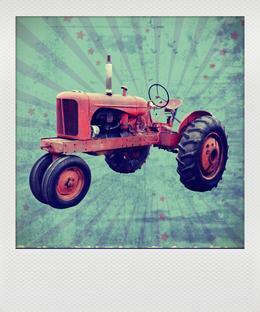 Massey Ferguson’s style could be considered alternative country, however their music is perhaps better described as genre-spanning traditional American music. Massey Ferguson features singer song-writer Rich Coldwell (Linus, Sun Theory), Michael Boundy (Seven Stories, Sun Theory), Greg Blanch (Amber Paulson), Trine Kallevig, Sam Carpenter (Snap to Zero, Sun Theory), Andy Dawe (the Borrowed Ones), Anthony Scott (Fruit, Sun Theory), and special guest Chris Parkinson (The Yearlings). Doctor DeSoto Duo are: Songwriters Mikey Green (The Audreys), Dave Pagano (Gone To Earth) of Doctor DeSoto fame perform edge-of-town acoustic jangles, tumbleweed tunes, torchlight songs, alongside punchy roots pop with infectious vintage grooves. 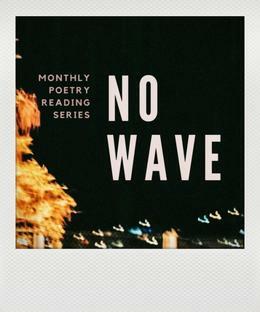 Equally, the readings are an occasion for local poets to gather in order to encourage collaboration and enhance the sense of community surrounding poetry in Adelaide. Few 31 year-olds can claim they’ve spent their years immersed in some serious musical talent but SA’s longest running original music organisation; the Songwriters, Composers And Lyricists Association (SCALA) have done it week after unfailing week for almost 3 decades. 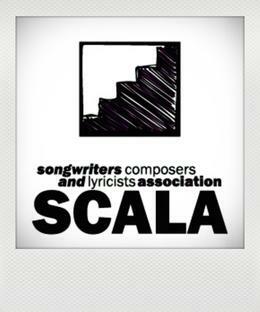 SCALA is a volunteer led, membership based organisation that continues to promote and encourage the creation of original music of all genres through events, the Festival Of Original Music (FOOM) song competition and an annual SCALA CD release. Hailing from the historic back streets of Semaphore. 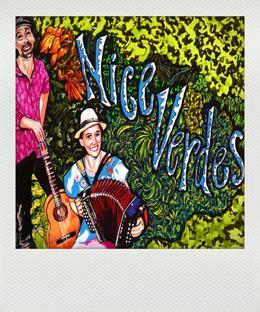 This eclectic band traverse a mix of genre through their extensive catalogue of original songs. 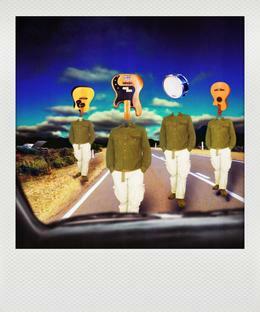 These talking heads have been described as “quirky”, playing “original pop anarchy’’ while maintaining a distinct Aussie flavour. Grid the band are Mark Spaven, David Biggs, Kym Wilkinson, Billy and Claire Thackray. 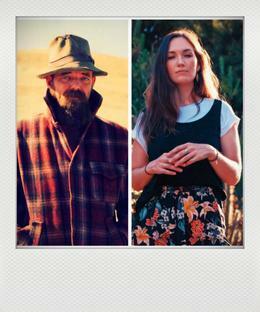 “Porchlight Parade are Adelaide based folk trio Kate Henderson, Tom Kalleske and Pearl Tassell. Accompanied by violinist, Emma Woolcock (The Fiddle Chicks) they deliver a captivating blend of dark-hearted contemporary folk with a banter guaranteed to give you a giggle. 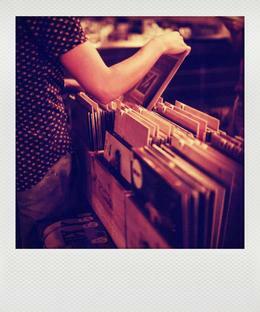 Crackle & Pop's Pop-Up Record Shop! Crackle & Pop Records will be setting up shop in the front bar the first Saturday of every month - come on in, grab a beer, and get your wax fix! 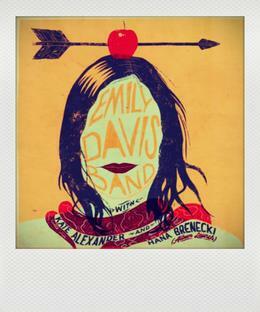 Emily Davis and her stellar band take the stage for her annual Birthday Gig. This year’s show is cause for much celebration; special guests Kate Alexander and Hana Brenecki will be launching their brand new album to kick things off. The Sourdoughs are a 4-piece band (+ occasional guests), which includes Barrie Hocking on lead guitar, Ron Vanderzwan on drums and Melissa Glamocak on bass. Sue’s songs are full of rich metaphors about life and love. Her music is a mix of alternative folk, with hints of jazz and blues in the mix. Sue, along with the band on 3 awards at the Quorn Battle of the Bands (Best Blues & Roots, Band, & Original Song). 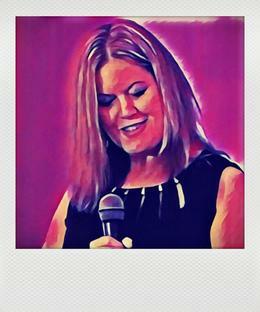 Sue released a solo album “Bit of Earth”, produced in Tanunda’s Stella One Studio, with 11 of her originals, back in 2010. She has started writing again for a second album. In 2018, Sue won equal first Peoples’ Choice award at SCALA’s annual FOOM competition for hr live performance of her original song “Tonight”. Influences include: Joni Mitchell, Janis Ian, Norah Jones, Patty Griffin, Missy Higgins, The Audreys, and wonderful locals like Very Jane, Free Genie to name a few. 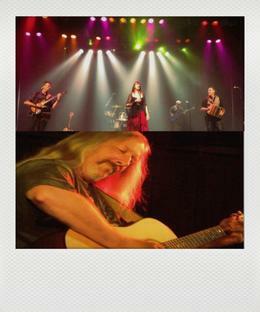 Sue’s gigs include a mix of covers, in amongst her own songs. 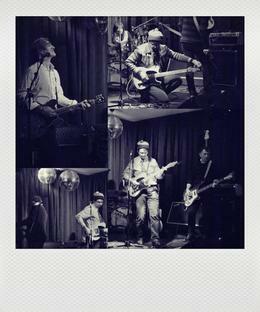 The legendary C.O.M.A Sessions have been a fixture at The Wheaty since 2005. C.O.M.A is a musician-led, musician-focused, member based not-for-profit association. It presents a unique opportunity for the creative development and artistic endeavour of a broad range of Australian composers and performers. 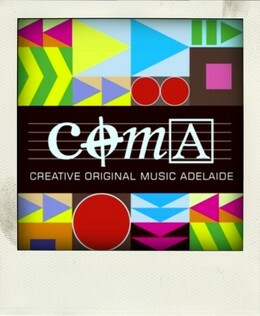 It is committed to presenting and raising the profile of original music in Adelaide, and indeed Australia. Pre-booked Tickets $25/20 for concession and Arba members. 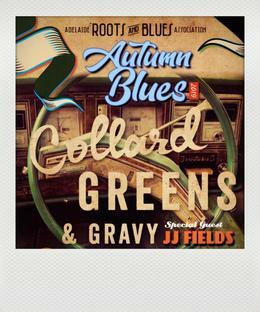 If tickets remain then $30 at the door. 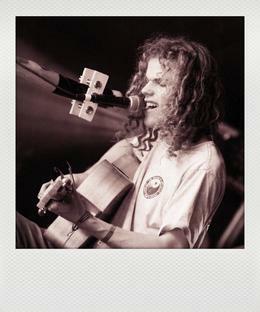 Multi-instrumentalist, JimmyBay is a true Australian blues/folk performer. In his live performances, his emotive and original songs are intersected with honest and sometimes humorously tragic stories from his travelling nomadic lifestyle. This “one man band” has played venues and festivals across Australia, including: Illawarra Folk Festival, Deep South Blues and Roots and the National Folk Festival. Elli Belle’s indie folk tunes combine thoughtful lyrics, soulful melodies and an utterly unique voice of impressive range. Her use of acoustic and electric guitar is both ambient and powerful. She is a captivating performer. After singing and playing his way through coffee houses and bars around the world, Michael is now based in Candelo in the Bega Valley, where his debut album, Clean Exit, was recorded in 2014. With a folk ethos and a blues gospel feel, Michael delivers Clean Exit with the authority of an early John Prine, his guitar style reminiscent of the late Reverend Gary Davis. Michael’s second album, Not the Express, was produced by Candelo’s Heath Cullen and recorded in LA with an all-star cast. 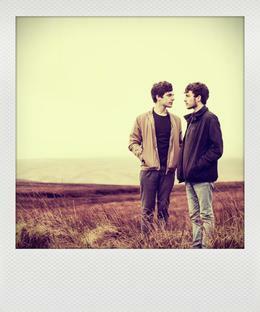 forceful blend of rich harmonies and bare, raw acoustic folk. the first single of that EP. 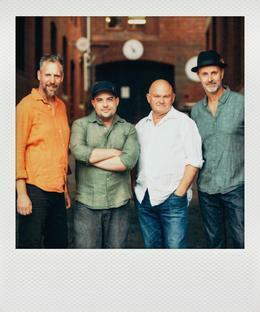 The Golden Rail first toured Adelaide in 2018 with the release of their first album “Electric Trails From Nowhere”. After a rocking night, to a very appreciative crowd, the band promised to return and do it all again. Finally, that time is now! The band are breaking from their Autumn hibernation and returning to Adelaide as part of their national tour for their latest album release “Sometimes When” and joining them on election night 2019 (as they did the first time round) will again be Adelaide’s finest garage/psych maestros, Green Circles, for a double header of Australian power pop perfection. Get down early for the vote counting. Vinyl and CD copies of the album, only available at the venue. You may have noticed The Heggarties going through somewhat of a revolution of late but on Sunday 19th May we take that revolution to the next level by playing our last ever show! Yes, after 10 incredible, fun-packed, adventure-filled, angst-ridden years of living, loving, learning, lamenting, laughing, languishing and lip-synching, the spirit of The Heggarties is finally ready to leave its current body, flow out into ether and enter several new bodies! Please join us as we go out with a bang in what is sure to be an emotionally charged show! With her dulcet tones and songs from the heart, Emma Jayne is the true essence of a singer-songwriter. 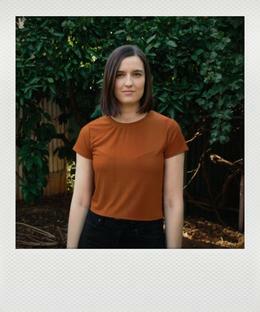 Emma seamlessly blends folk/country vibes with her own brand of Aussie pop that oozes authenticity. After being hard at work in the studio, Emma Jayne is launching her much anticipated EP on the Wheaty stage. So come along and immerse yourself in Emma’s songbook as she invites you to lean in a little bit closer. “Life-affirming… this is songwriting to stir the soul” The Music. A Powerhouse rhythm section featuring Grammy award winner Jerry Speiser (Men at Work) and Andy Dixon (officer Friendly), with guitars and mandolin from songwriters Andrew McSweeney (McSweeney, Kutcha Edwards) and ARIA winner John Fleming (Scared Weird Little Guys), capped off with lush vocal harmonies, all in the natural tuning of A432. 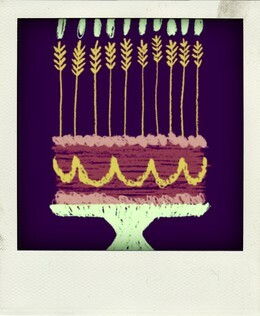 The Wheaty is turning 16!! We invite you to come help us celebrate!! Food Trucks, Tap takeovers and live music Featuring: The Yearlings + The Wheatsheaf Ukulele Collective. Robyn Chalklen and Chris Parkinson (The Yearlings) combine warm two part harmonies, acoustic guitar and rich electric tremolo landscapes to create a sound that is aged. Old, just the right amount of haunting. Their "Highway Dancing" album (2008) took them to Brooklyn, New York, to work with legendary performer producer, Larry Campbell (of Bob Dylan, Levon Helm fame), and members of NYC roots band Ollabelle. Reminiscent of the great alt. country Americana genre, but born out of Adelaide, Australia The Yearlings’ sound is all their own. 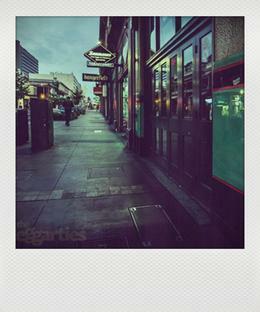 They straddle old and new, bitter and sweet, darkness and transcendence – modern day porch music. Since creatively co-birthed by entertainer Adam Page and Georgia Bradtke in 2009, The Wheatsheaf Ukulele Collective (WUC) have been having a rockin' great time playing their unique interpretation of a huge range of classic (and not so classic) hits to sell out audiences. The Wheatsheaf Ukulele Collective is a friendly gathering of like-minded folks who share an appreciation of the most tropical of instruments, the ukulele. Join us for a golden afternoon of music, featuring a special twist on the usual gig format thanks to a collaboration between local artists Nancy Bates, Emily Davis, Naomi Keyte and Katie Pomery. 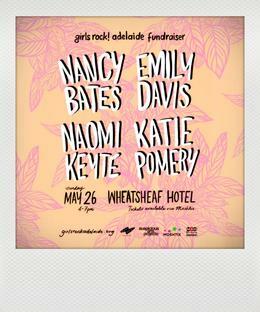 Tickets are available now through Moshtix, with all proceeds going towards facilitating the first Girls Rock! Adelaide camp in July 2019, where participants will have the opportunity to develop their creativity in a safe space led by female and gender diverse musicians and industry practitioners. 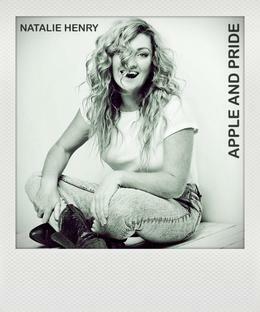 With the recent single release 'Apple and Pride', produced by Michael Moko, Natalie has set the scene for her much-anticipated album launch. Trav Collins is a 20 year old Adelaide multi-instrumentalist singer/songwriter who has a unique sound, incorporating acoustic guitar with unorthodox electric tones and effects. Accompanying himself with a didgeridoo and harmonica, his solo music has the fullest sound possible whilst still maintaining an acoustic feel. His first album released in March 2018 is inspired by stories, views and experiences from his life so far. Playing street shows all over Australia as well as venues and festivals Trav has shared the stage at Blenheim Fest (SA), The Fleurieu Folk Festival and recently the National Folk Festival (ACT) to name a few. Bluegrass Junction is South Australia's premier bluegrass band. All of us have a lifetime's passion for old-fashioned hard-core bluegrass and three-part harmony. We do Bill Monroe, Flatt & Scruggs, The Stanley Brothers, Jimmy Martin, Doyle Lawson, JD Crowe, Jim & Jesse. We like classic bluegrass! The band is Trev Warner, Nick Cawthorne, Geoff Bridgland and Stephen Loss. Trev is an original Adelaide bluegrass pioneer. He’s a Hall of Fame inductee, three times Australian bluegrass banjo champion, and long-time bluegrass fiddle player. 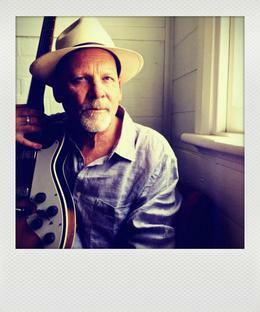 Nick is one of Australia's finest bluegrass guitarists and singers. He drives a vintage Degruchy. Geoff has been playing bluegrass banjo and old-time fiddle since the ‘60’s. Stephen Loss joined us over two years ago and is now part of the woodwork – the big woodwork. His bass playing and singing is second to none. And, he’s a fine mandolin and guitar player, too. Bluegrass Junction was formed in 1997, but the band goes back decades earlier. 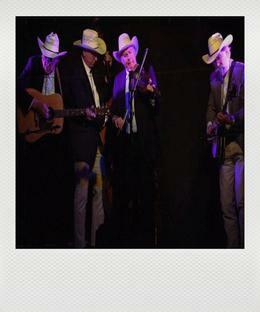 Trev, Nick, Geoff and John have played bluegrass in various Adelaide band configurations for over 50 years. We know where the music comes from. We know why we are playing it. We know what makes it work. We are veterans in the genre. And for good measure, we are the only local band regularly featuring twin-fiddle and twin mandolin instrumental numbers, with a focus on the traditional old-time country music that pre-dated bluegrass music. Deb Stewart's new collection of poetry 'The White Line of Language' contains 101 poems and a selection of photographs. Deb is a poet / singer / songwriter / librarian from Adelaide's south. One half of the duo 'The Street Owls' and convenor of the Australian Poets' Exchange and South Australian Songwriters groups on Facebook. She has always had a keen interest in transforming poems into songs and in songwriting generally. Samples of her music and poetry are available on a number of online platforms. 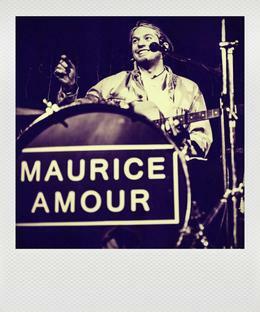 Maurice Amour (born December 10, 1993) is an English multi-instrumentalist, producer and songwriter from Newquay, Cornwall (UK). He was part of the indie band Franklin for years, but decided to part ways in 2017 to pursue a solo music career. In January 2017 Amour released debut single titled "9 17". “A touching track written for his dearly departed brother" according to the online publication ' It's All Indie'. The Single was quickly recognized by the likes of BBC Radio One's DJ Huw Stephens and featured on his weekly playlist, Alongside this it was awarded 'Track of the week' for BBC introducing London. Amour released his Second Single 'Lightning Bolt' April 2017 featuring New York based rapper Young Reno. This song was rumoured to be written in a hotel room whilst Brandon toured the UK with national icons 'The Pigeon Detectives'. Amours single "Take Me Back", a touching track written about Amours's life experiences, was released in January 2018. The year 2018 was full of singles from Amour; he released no less than 7 singles. Amour recently has reached 32.5 million plays on Spotify consisting of music he has written and released both through with others and individually. Let these Two Voices Change The Strings On Your Heart, with this musical adventure through life. 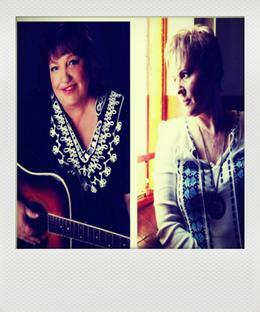 Multi-award winning songwriter, Cathy Dobson has been picking up awards and accolades across the country, including Tamworth, Canberra, the Peninsula and The Australian Songwriters Association. With many awards and short listings already behind her, in 2017 “A Break In The Clouds’ won this Melbourne based musician, the Basin Music Fest Songwriting award as well as the lyrics section of the Songs Alive Aust. Comp. “Jericho Rose” took out first prize at the Hughenden songwriting competition as well as the prestigious Maldon Folk Festival Roddy Read Award. Cathy’s songs are now being covered by other artists, including two time 2019 Golden Guitar winner Andrew Swift, with a version of Cathy’s “Ball and Chain” on his award winning album “Call Out For The Cavalry”. Gritty tales of truth, with a spattering of murder ballads, cloaked in an innocent country rock sound. 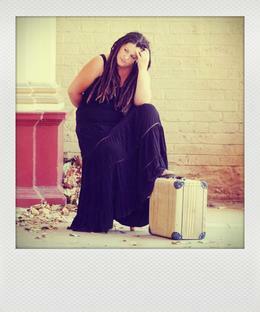 Paula Standing has been spreading her sound in festivals and venues right across Australia. An established favourite amongst the contemporary indie roots scene, where wry humour and warmth are as much a part of the show as her impressive vocal range and guitar combo.